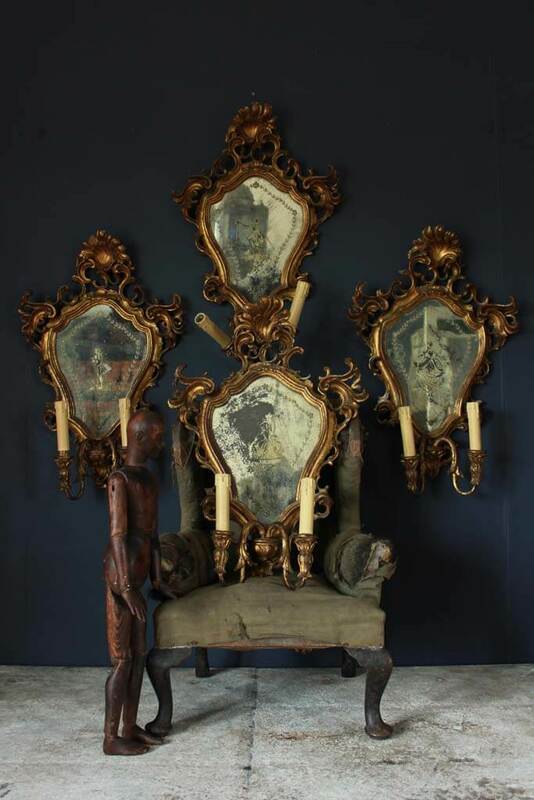 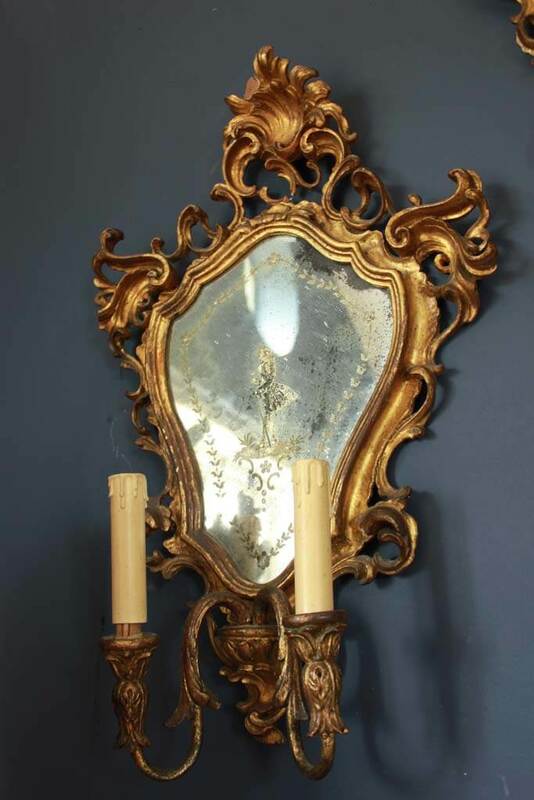 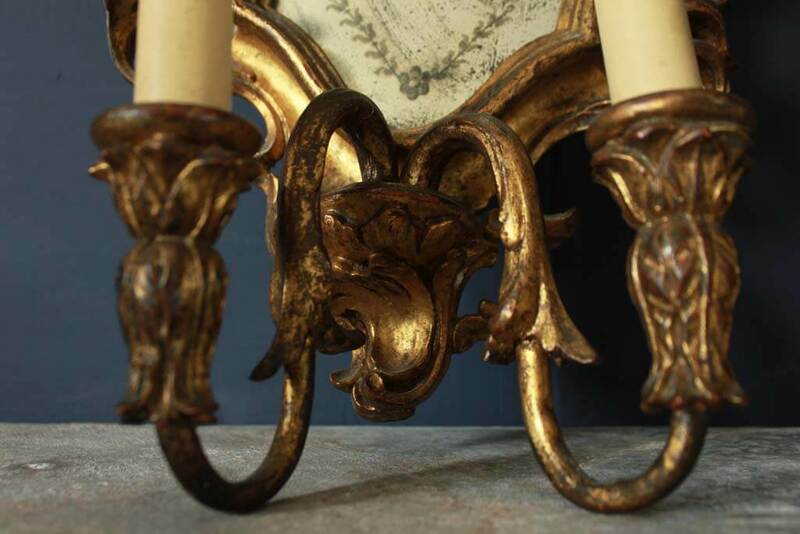 A Set Of Four Early 19Th Century Venetian Wall Sconces. 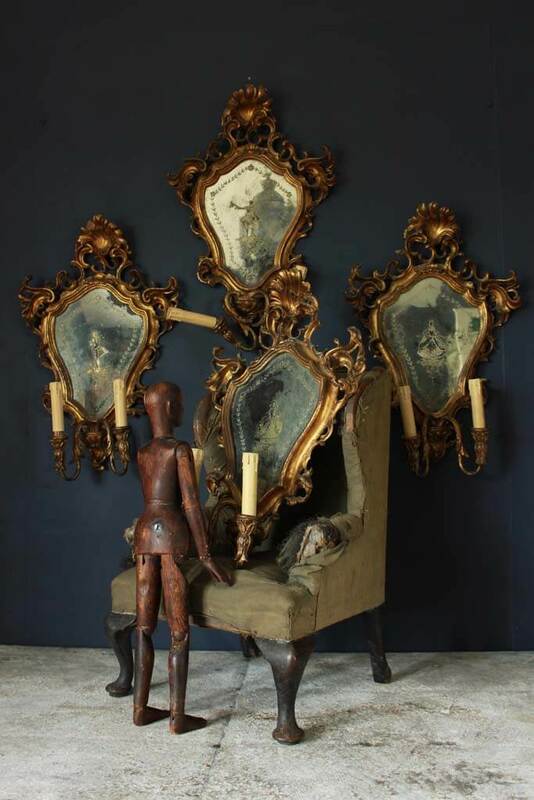 A rare set of four early 19th century Venetian carved and gilded wall sconces, with fantastic engraved images of a lady and gentleman on each sconce. 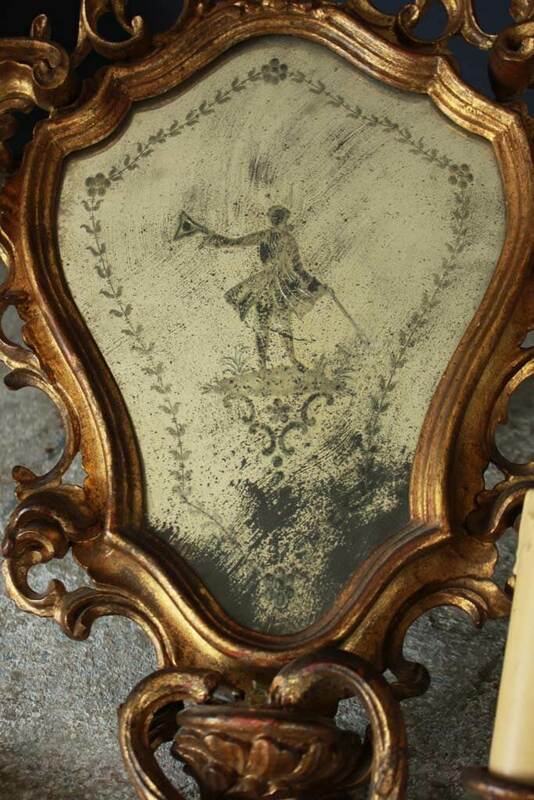 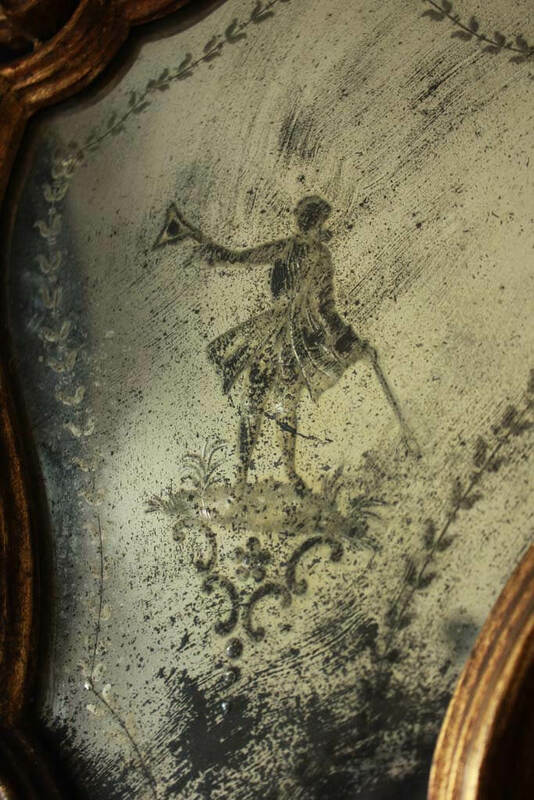 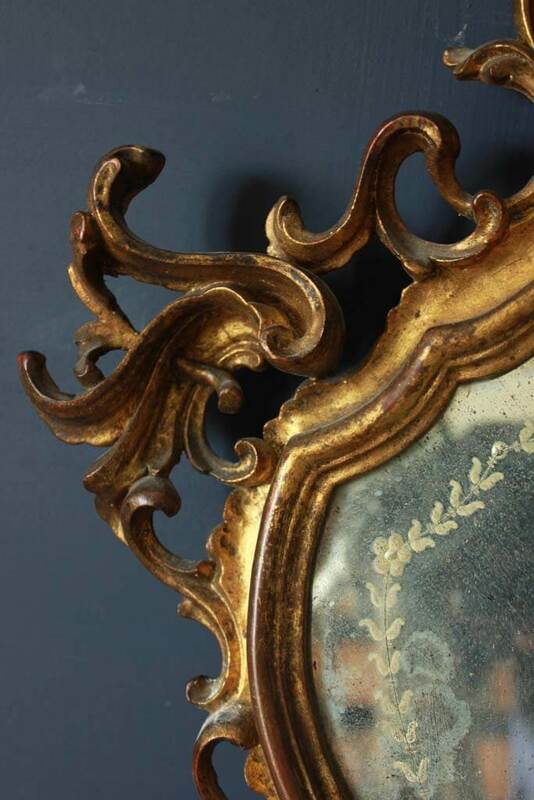 The mirror was foxed beautifully over the years. 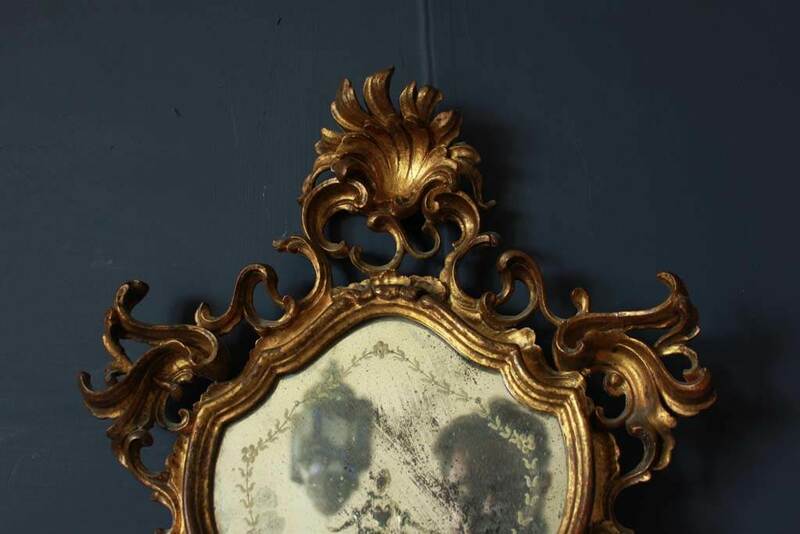 Condition : over all very good one scones has a very small piece missing and they have been converted to electricity at some stage in there lives.